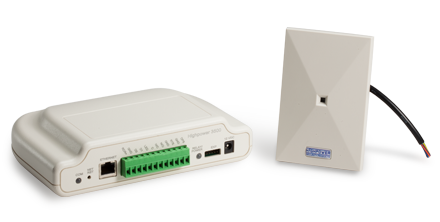 Long distance proximity readers for parking applications. 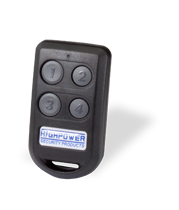 Highpower’s WWR-42 Ranger is an affordable, long-read-range credential proximity reader that can read remote-control style tags up to 150 feet away. These proximity readers are ideal for vehicle access without lowering the window. 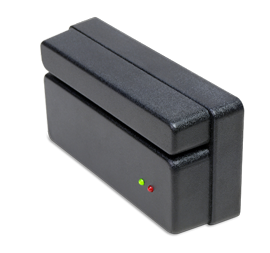 Each active remote tag has buttons that are pressed to transmit the card ID over long distance. The tag also doubles as a passive proximity card. Each Ranger remote control tag is individually coded with standard card formats. Long range transmission data is secured with fully encrypted transmission protocols. Ranger tags also have an embedded proximity chip so the remotes can also work with Highpower’s standard proximity card readers without pressing the remote control buttons or requiring battery power. The active long range portion of the tag runs on battery power. The battery in the Ranger tag is user replaceable, and is a standard remote control battery. 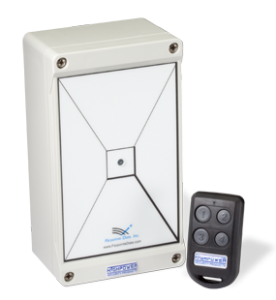 The Ranger proximity reader also has dual outputs for use with more than one control panel, and has a read range adjustment, so the read range can be limited below the full read range if required. The ranger remote typically has four buttons. One set of buttons outputs the code to one output, and the second set outputs to the other. 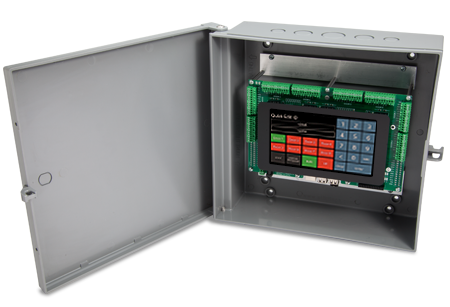 Sets of buttons are used for redundancy, although high quality switches used in the Ranger remote ensure long life performance. Ranger proximity reader is compatible with ranger remotes. WWR-42 Standard Ranger Remote Control ID Reader.